Fight between Lawyer Ahmed Nassir and Esther Passaris storm Kenyans on Twitter over constitutional reforms - Bana Kenya News, Real African Network Tubanane. Scarth engagements between the well-known lawyer in Nairobi over the constitutional amendment has raised eyebrows over the social media. Nairobi Woman Rep Esther Passaris and lawyer Ahmednasir Abdullahi have broken up the walla of the social media after they engaged on Twitter. "We can't agitate 24 hours non-stop for constitutional reforms simply to improve the future political fortunes of individuals who have perennially failed to win the popular mandate," Ahmednasir said. After a while, Jubilee fans storm on the lawyers' post on Twitter with cruel postings. The flamboyant lawyer draws attention to the public over the constitutional reforms that the political giants proposed before the 2022 general elections. "Failed to win? Really? A man of your intellect, during the month of Ramadhan, cannot pretend to be oblivious to the fact that our country electoral body did not conduct #FreeFairCredibleElections. 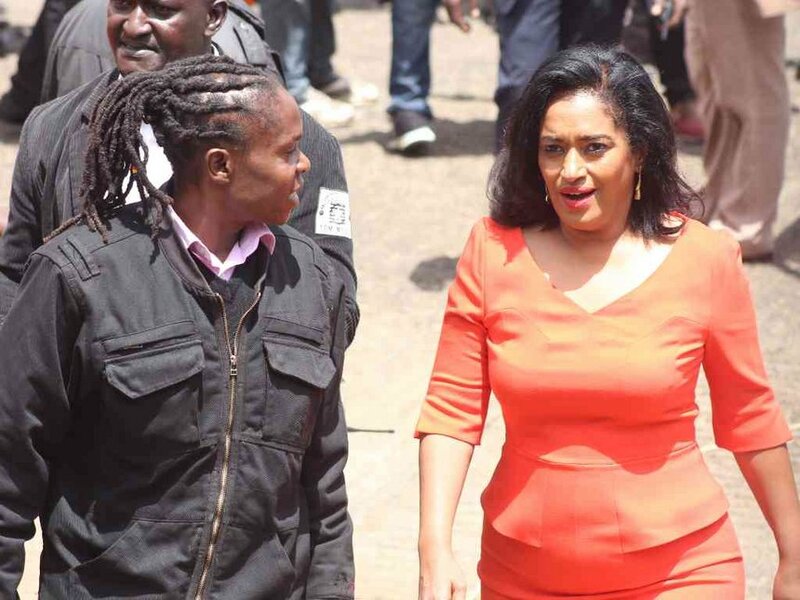 It's a fact known by both sides of the divide," Passaris said. This drew much attention and engaging facts about the duo as comments started to flow on their handles. "Yes. During this auspicious month, we are expected to be truthful with ourselves and others." She added. The conversation between the two became hot on the agenda of the constitutional reforms as claimed by the majority of people who commented on their handles. "Any other month I can excuse that which I cannot change but during this Holy Month I can aspire to instil the importance of honest reflection." "It is a cardinal religious duty 24 hours. And my tweet is the truth, the whole truth and nothing but the truth. Constitutional amendments to serve temporal and transient needs of individuals are bogus...very bogus," he said. Most of the comments claimed to have a unique message of peace. The attack between the two politicians did not go well on the social media because the majority referred to the handshake. People have been criticising the government of the rise of living standards in some areas in regards to the national unity.